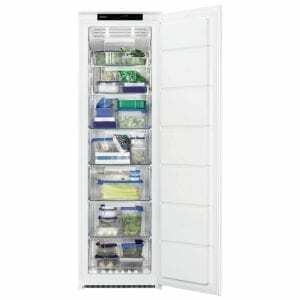 This superb 178 high integrated freezer from Whirlpool is designed to be fitted into a tall housing unit with your furniture door on the front to match the rest of your kitchen. It has an A+ energy rating and boasts an impressive 210 litres of capacity. 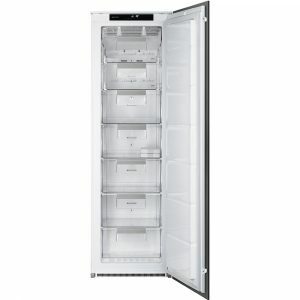 This integrated freezer from Liebherr offers a useful 100 litres of storage space and an efficient A++ energy rating, making it ideal for a busy home. Designed to be installed behind a furniture door, it will fit seamlessly into your kitchen, while the SmartFrost system keeps ice to a minimum so maintenance is simple as well! 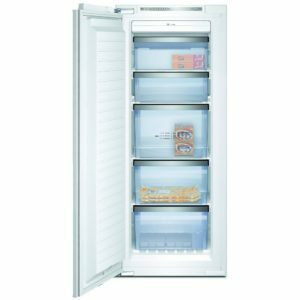 If you're in need of a large capacity freezer to store all your frozen goods, then this superb integrated frost free freezer from Smeg is sure to tick the right boxes. With 208 litres of space spread over 7 compartments, there's bags of space for a large family. It is designed to be fitted into a tall housing unit with your furniture door on the front to match the rest of your kitchen. 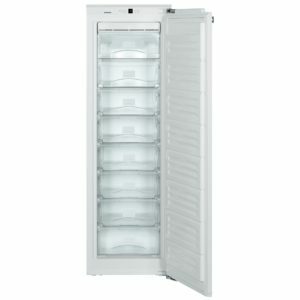 This superb integrated frost free freezer from Zanussi is designed to be fitted into a tall housing unit with a furniture door on the front to match the rest of your kitchen. It has an A+ energy rating and boasts an impressive 204 litres of capacity. 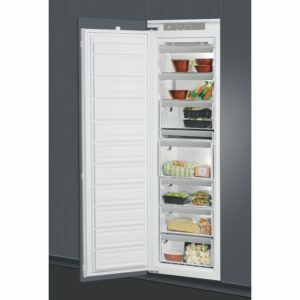 This superb integrated freezer from Neff is designed to be fitted into a tall housing unit with a furniture door on the front to match the rest of your kitchen. 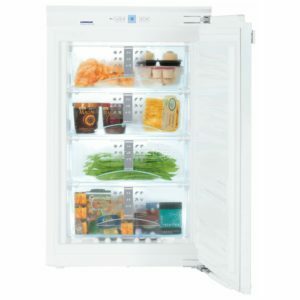 With a great 160 litres of capacity, there's loads of room to fit in the weekly shop, and with the Super Freeze function it will quickly cool down items. Say goodbye to manual defrosting with the frost free G8120X0. 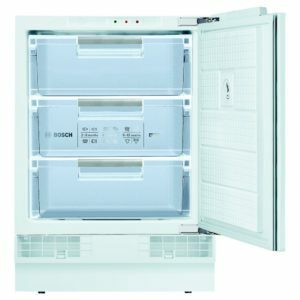 Designed to be fitted into a tall housing unit with a furniture door attached, this integrated freezer will blend easily into your kitchen. 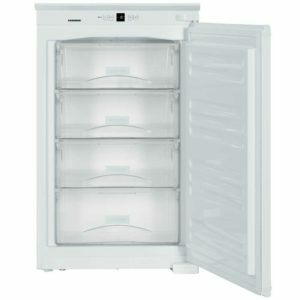 There's 84 litres of space available, and with the frost free interior there's no time consuming defrosting to do. Boasting extras like the A++ energy rating and soft close doors, you can feel the quality of Liebherr's great appliances coming through.